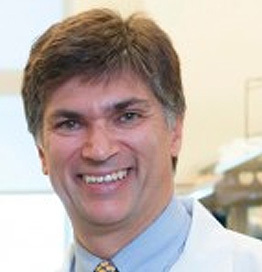 Dr. Joshua Hare is Chief Sciences Officer, Senior Associate Dean for Experimental and Cellular Therapeutics, Director of the Interdisciplinary Stem Cell Institute (ISCI), and Louis Lemberg Professor of Medicine at the University of Miami Miller School of Medicine. Dr. Hare is a practicing cardiologist and an expert in cardiovascular medicine, specializing in heart failure, myocardial infarction, inflammatory diseases of the heart, and heart transplantation. He is an internationally acknowledged pioneer in the field of stem cell therapeutics for human heart disease, currently seeing and evaluating patients from all over the world for this new experimental therapy. Dr. Hare has published multiple clinical trials testing the use of mesenchymal stem cells in patients with heart or age-related disorders and is the Principal Investigator of two major NHLBI programs that advance cell based therapy. He has published over 300 publications and reviews in the peer-reviewed literature, holds numerous investigational new drug authorizations (INDs) from the FDA for cell therapy, and has been awarded several U.S. patents.